Samsung has announced a major update to its voice interaction service. 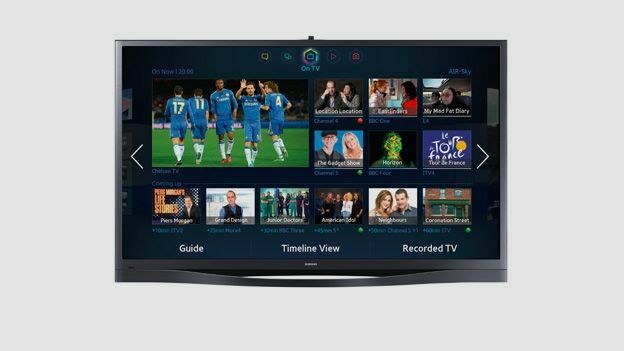 The update will be included as standard in its 2014 smart television models. It is unclear if the company plans to roll out the update to older models. Currently, users need to prompt the TV with a relevant command such as 'channel change' or 'channel number'. Next year's sets will only require users to speak the channel number. Samsung has also introduced the ability to use voice shortcuts to open websites and apps. It will also be possible to search by voice for information such as weather, stock prices and sports scores. When information is searched for, a window will pop up on the TV with the results. The 2014 models will also incorporate finger gestures. These will enable users to change the channel, control the volume, return to the previous screen and stop video. “Samsung's 2014 Smart TV models deliver significantly improved voice interaction and motion control features so that our consumers will be able to enjoy our Smart TV more intuitively,” said Kyungshik Lee, senior vice president of Samsung's service strategy team for the visual display business. “We will continue to develop content that integrates voice and motion recognition for added convenience”. Samsung will show of its new smart TVs at the Consumer Electronics Show in Las Vegas next month.